Associations, Non-profits, Alumni groups, User groups, and any other membership-based organization. Fonteva Membership is an association management software (perfect for medium/large organizations with 10+ staff users) that combines Salesforce, the worlds #1 CRM, with the features member-based organizations require to develop and nurture constituent relationships and achieve their mission, including: membership & CRM, member portals, communities, microsites, meetings, events, eBusiness, revenue accounting, reports, dashboards, and a development platform. Fonteva for Associations Reviews Recently Reviewed! Pros: The most impressive thing about the MemberNation Platform is that it does an exceptional job of thinking through the business cases you'll encounter as an Association, and then streamlining those processes for you. Once you've completed the initial configuration working with the Fonteva team (special thanks in our case to Dagmar and Sundeep for their work) everything just works. There's a good amount of flexibility in terms of being able to customize and adapt a lot of features right out of the box, which makes our lives so much easier! Cons: There's really not much to dislike. The only thing that I'd recommend for folks, is to take advantage of the training they provide, and to make sure there is a member of your team truly taking responsibility for owning the project. As with anything, if there's no one from your team really invested in making sure the platform will be a success, it won't matter what software solution you use. Overall: The most impressive thing about the MemberNation Platform is that it does an exceptional job of thinking through the business cases you'll encounter as an Association, and then streamlining those processes for you. Once you've completed the initial configuration working with the Fonteva team (special thanks in our case to Dagmar and Sundeep for their work) everything just works. There's a good amount of flexibility in terms of being able to customize and adapt a lot of features right out of the box, which makes our lives so much easier! Recommendations to other buyers: There are several benefits for us in moving to Fonteva's product. From a member management perspective, we now have out of the box (and easy) auto renewal options, helping us to hopefully improve on what has historically been an aggressive churn rate on our membership base. 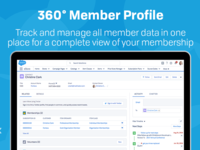 It also has a ton of great features to help us enable our members to get access to our members only information easily, to manage their profiles, to purchase subscriptions and items in an easy store-like setup, and all in a platform that we can trust will work with our Salesforce setup without issue. Pros: The first and major reason is MemberNation by Fonteva is based on Salesforce, no chance it will be bought out or merged by another company. Second reason is Fonteva provides the bridge that makes it easy for nonprofit organization to use Salesforce to handles its membership, events, community and other functions of a modern organization. Third reason is Salesforce, like Apple, has its own AppExchange market (think it as Apple's App store), if there is any need not covered by Salesforce and Fonteva, there is probably an app for it in the AppExchange market. It is like you have three vendors working on you. This ecosystem is what makes Apple successful, and it will make Salesforce and your AMS successful. It will always be up to date. Last reason is there are a lot of vendors supporting integration with Salesforce/Fonteva. Cons: Because AMS by its nature is one size fits all, so some more or less customization might be required. Fonteva has its own Join Process, it is flexible enough to match 95% of our existing membership process, we have deal with that 5% by changing our business process. Overall: I would highly recommend this to any organization that is looking for an AMS. The ecosystem I mentioned above is the reason that will sure your organization is in the good hand and win in the long run. Pros: We conducted an in-depth search and review to evaluate and select an Association Management Software (AMS) for our medium sized Association. There are a variety of reasons as to why we selected Fonteva, but to summarize here are our main reasons for selecting this product. Cons: No negatives have been found yet. Of course, you'd love for it to be cheaper. Keep an eye on the size of your environment. Pros: MemberNation (MN) has proven to be an excellent AMS. The product is customizable, which allows Admins to configure the system based on their origination's needs. MN has allowed us to streamline processes that were once done manually. The Fonteva team worked diligently to help us reach our target go-live date. Our Business Analyst was crucial to the project's success, as he used his expertise to understand our business processes and guide our internal team on configuring MN. Cons: Salesforce does have limitations on editing their managed packages which limits the Admin on certain configurations. However, we have found a work around solution for each of these limitations. Overall: Great app built on Salesforce. Streamlined manual processes. Pros: As a developer / technical consultant, when a customer is mentioning use cases involving "customer engagement" or "organize our member base" the first product that comes to mind is Fonteva. This product easily saves me months of development for a product that I couldn't even compete with. Just like you don't want to build your own cloud based CRM product, why build your own customer engagement Salesforce functionality, when someone already did it cheaper, better, less buggy, and with a technical support team. Choosing Fonteva's software is often a no-brainer for my team and my customers. As a bonus it fills in the (many) gaps left behind by the Service Cloud that Salesforce hasn't built yet. And it saves me on the budget for when customers have big ideas. Cons: Custom development on top of Fonteva's platform can be difficult because in addition to the usual Salesforce quirks you have to take into account, you also need to learn and understand how Fonteva's platform is built. Overall: A solid platform for associations to manage and improve their processes from. Association management out of the box! Pros: Fonteva extends an already great product, Salesforce, in ways that make sense to me. Membership management is build in, as well as a store, and very robust event builder. Honestly, Fonteva is my first experience with Salesforce so I can't contrast it with vanilla SF that well. What I CAN compare it to is Dynamics, which is very clunky in my opinion. My role is mostly administration so what concerns me is primarily the user management, which is much easier to get along with on SF/Fonteva. Something I've noticed is a lot of the features we've had to develop in-house for dynamics are already present in Fonteva. I imagine this is going to give us more time to concentrate on our data rather than redeveloping the wheel. Our support from Fonteva has been top notch. I've attended their admin training, which more or less walked us through a simple SF implementation and Fonteva setup. The class was fast paced but very easy to follow. Our instructor was knowledgeable and slowed down when necessary to answer questions thoroughly. Cons: I can't think of a single detractor. Maybe a year or so after we've fully implemented Fonteva I can update this review. Pros: As it sits on the SalesForce platform the software is very powerful and adaptable. Overall: We recently upgraded our AMS, CMS and LMS. We decided on Fonteva for our AMS. From the very first meeting with my Fonteva team I knew that I was in good hands. We worked together, as a team, to develop a system that would work well with our Association. My project manager and she was a joy to work with. I worked closely with rep in both learning MemberNation and in developing the product to suit our needs. I always felt that she had my interest at heart and always knew that she was thinking of ways to resolve my issues in a cost effective, well thought out, way. I completely trust the relationship I have with my Fonteva team. We recently went LIVE and the product is working out great for us. It is so powerful...there is still a lot that I have to learn. They have tons of training available and they encourage you to us the Community to help resolve any issues...thus saving money. I look forward to the new releases and seeing how much this platform can do! A very smart decision when we chose Fonteva! Pros: I like the flexibility and the ability to make changes/ configurations as needed with or without assistance from Fonteva. Overall: As you know, migrating to a new membership database is tough! We were excited about the features and usability of MemberNation but nervous about the switch. Fonteva put two very capable data experts on the job, gave us access to applications, finance and product experts and walked us through a complicated SSO jungle. It was hard work but provided great reward. The training we received helped us to hit the ground running. Our PM followed through with the successful go live he promised. Best part? We got the control, functionality and scalability we wanted built on a best of breed platform. Every configuration is different as are org. needs and member constituency. But I think if you come to the table ready to roll up your sleeves, do the work and make your needs and requests known, you'll be pleased with the outcome. I'm looking forward to many years with the product and the talented folks at Fonteva. Pros: Easy to use and very user friendly. Being able to login on any device makes handingly urgent membership issues effortless. Cons: We are starting to discover things the system can do that we didn't anticipate. Our new member application needs updating and we are unable (currently) to make the updates from the back end. 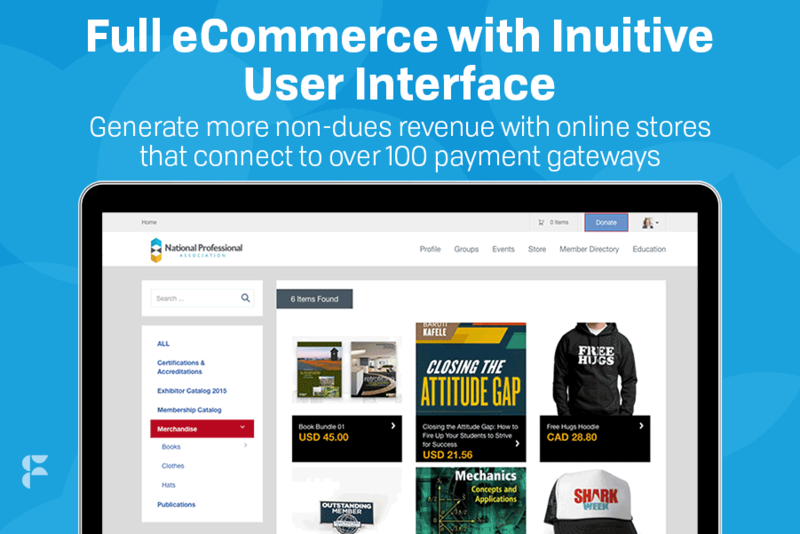 Overall: When shopping for an end to end solution, Member Nation has you covered. Built first as a robust accounting platform in your Salesforce instance, Fonteva then incorporates a vast majority of what is needed to operate most businesses through their variety of modules. I designed the Streams Ministries web site, which uses every module Fonteva offers, and I am pleased to say that the experience was a great one. I would encourage others to investigate how Fonteva's Member Nation can benefit your organization. Pros: Ease of use. Flexibilty for users and easy to navigate. Cons: Contact bugs and custom fields that break during updates. 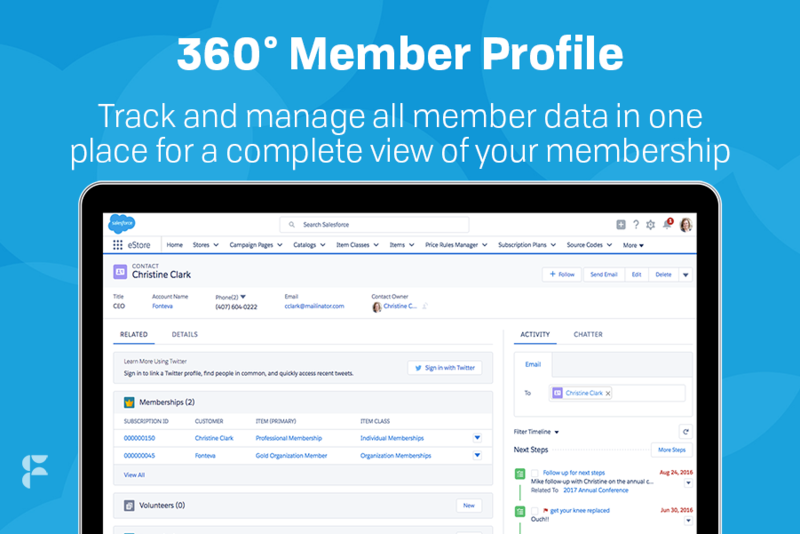 Pros: Integrates well into Salesforce, allows us to work with member data using mobile, desktop, tablet. Provides lots of options to plug in additional apps to improve our member experience and make our working lives easier. 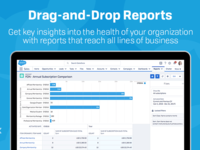 Cons: Reporting is limited by the Salesforce reporting capabilities, which makes the AMS feel quite limited. We've had to use extensive customizations to allow our board-approved price rules, integrations, member communications, etc. to thrive. Had some issues moving from UAT to production environment. Overall: We are still in the implementation stage, so I've refrained from forming a concrete opinion on the software one way or the other. It holds a lot of promise and we've had good customer service overall, but it remains to be seen whether some of our more pie-in-the-sky hopes and wishes will be granted. I'm hopeful! Pros: We have used Fonteva for our membership and marking. The software is easy to use and friendly. They were able to accommodate all our custom logic we have used for a long time. The change over from our last software was so smooth and they have a knowledgeable staff to help out on the change. Pros: The flexibility and ability for end users to have control of the products and functionality. Cons: The implementation process should have been handled better. However, we are now working to get where we should be and are pleased. Pros: Infinite possibilities of exchanging truthful information at the right time and with the option of choosing the right tool. Is a very flexible application that presents multiple users with tools to manage a group of employees linked through the cloud, skipping distances and thinking. the app allows you to focus on a shared goals. They overcome the rigidity of a software and develop many app that evolve together with the users and their experiences, they honestly guarantee the success. Cons: The registration process, It can be a little common and tedious that´s all. fonteva does not present cons against which to be alarmed. Comments: As a Salesforce.com implementation partner I'm often asked to review and recommend apps and often then asked to implement that recommendation. MemberNation's presentation of itself as being able to fulfill XYZ is true, but for someone like me what matters is what is "under the hood." Only after a week long training can I truly appreciate the data architecture running MemberNation. It's complex but it needs to be given all the variables an association requires when it comes to managing memberships, events, pricing, communications with and among members, etc. Like any other strategically sound app, however, you will need someone on staff to manage the system post launch. This person need not be a Certified Salesforce.com Admin (although it helps). This person would, however, needs to understand and appreciate WHY the system is built the way it is and know how to work within its set structure. My in person training also allowed me to meet Fonteva staff responsible for certain functionality/apps within MN. I was thoroughly impressed both with the thoughtful and exited approach they take to advancing MN functionality and how brilliant these folks were of business processes (real day issues we face) and Salesforce. Pros: With a big set of modules which can perform virtually everything you need to manage in the right way the customer support and the relationship with clients and costumers. Fonteva for Associations present a big range of features: members, events management, communities, estores, committees, accounting, online fundraising, mobile, education, collaboration, dashboard and reports. All these features allows you to perfom and set your bussines in the best possible way and get the most of every inversion or event you do. Cons: Like happen with other Fonteva tools like Fonteva Events, with this tool you have to know every detail of you want to with your organzation and in which way do you want to improve, if you do not know what really you want you cannot tak advantange of this great tool for your organization. Overall: Fonteva help us making easier the reports of accounting through their Dashboard and Reports tool, with this module we can saw how we are spending our money and in which direction we have the put the organization for the best future of it. Overall: MemberNation will solve a LOT of the issues we're having with our current CRM, NEON. The user experience for our members will be vastly improved (e.g. logging in, renewing memberships, the member portal, registering for events, making donations), which is the most important thing that we care about. That said, the implementation process has been a little ridiculous. We're a nonprofit and this is a HUGE investment for us budget-wise. I feel like Fonteva sometimes forgets that, e.g. they tried to charge us for bringing our new account rep up to speed. I feel like that's the cost of doing business and not our problem. Overall, though, they've been helpful and we've had a good experience. Their FUNcon16 user conference was super fun! Recommendations to other buyers: Be sure you are fastidious about fee and pricing discussions with Fonteva. 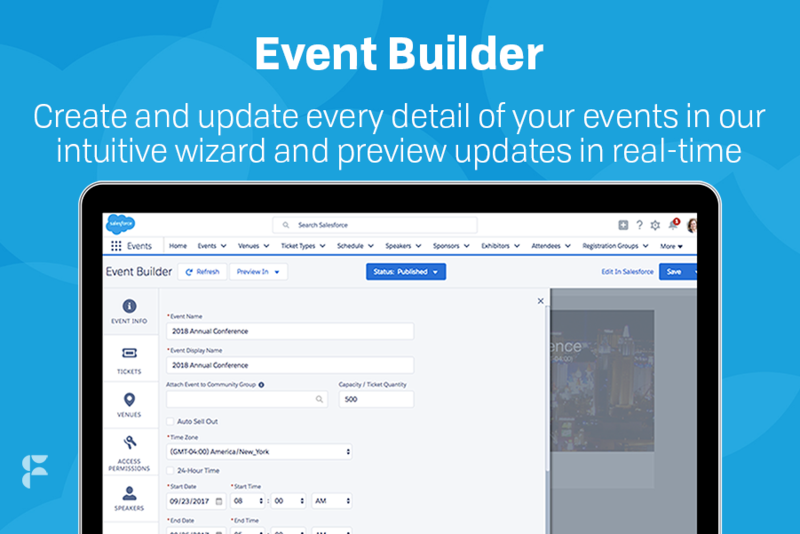 Pros: Integration with Salesforce is flawless and for us the Events Builder App is a killer. 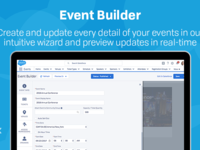 The ease in which we can create events with data already in our Salesforce Org is great. Cons: Additional Apps in Lightening would be great. Less requirements to revert back to Salesforce view would also be useful. Comments: I have been working with Fonteva for over a year testing Member Nation. I have found the staff at Fonteva great to work with. Member Nation is a great product for hosting and managing an Event. Pros: The integration of the product with other salesforce applications is fantastic. The easy membership renewal process is a big improvement over past product. Cons: haven't experianced a major issue with the system. Overall: The staff has been very knowledgable and guided us well through our implementation. Pros: Makes Salesforce a useable solution for the non-profit membership based association. Cons: Still in the implementation process but have not ran into any dealbreakers for our use cases. Overall: The fonteva staff have been excellent and helpful throughout our implementation. Pros: Feature and functionality and easy upgrades. Easily customizable, creating screen and fields take a few minutes. Cons: Report limitation, none discriptive error messages, and user's guide could use a little discription. Membernation is very user friendly! Pros: What I love about memebernation is that is was so user friendly. Made business run so much more smooth. Cons: Nothing I didn't like. At first it was difficult but only because I was expecting more steps in the the process but this software simplified my life. Overall: My experience at first was rough but only because I was making it harder that it was. Once I got the hang of it, it made it so much easier and faster. Best member management software we've found on the market. Growing company continuously improving. Pros: The AMS is build directly on Salesforce. It offers a wide range of possibilities due to Salesforce's flexibility. The apps they have built as part of the Membership suite are easy to use and can be tailored to fit business needs within certain constraints. The staff appear eager to help and are knowledgeable. Cons: As with the events module, I feel that there can be some improvements to the outward-facing elements regarding SEO. Some of the features that are of interest aren't available until an upcoming release. Overall: New implementation that is refreshing. Has a strong User Experience (on both front and backend) will being easy to use. Pros: Associations have transactions that differ from traditional corporate ones. Fonteva provides very flexible platform that can support membership subscriptions, event registrations, etc. They have great engineers that are always willing to help with a custom solution for your organization as well. Cons: A lot of times a custom solution is needed - they won't have everything you want 'out of the box', but they're more than willing to help. Pros: I really like the flexibility of Fonteva for Associations. We have a lot of ideas to innovate and update our processes and this software does a great job in tailoring to our specific business needs. Cons: It's very difficult to make decisions based on the various software updates that occur throughout the year. It's a challenge to project the future since we won't know what enhances are coming up in the system. I have nothing but positive things to say! Pros: We just transitioned to Fonteva 2 months ago and it has been such a smooth transition. Love the events and ecommerce features. My members love the badge and community features! Cons: I don't like not being able to delete accounts or contacts. Also with the data merge I have a lot of old accounts and duplicates. Wish there was a better scrub system initially. Overall: member benefits. Event creator. Online forums and communities. easy payments. System Review by Nikki B.
Cons: The amount of steps between the Sales Order/Sales Order Lines and Receipts. Overall: It's always challenging to switch software systems but once I started getting used to the new system things were much more simplified and streamlined. The capabilities in the technology are great and I am very excited to see what other possibilities are out there for our business. Pros: It can do almost anything. Cons: Not much that I don't like. It can be intimidating to folks who are too savvy with technology. Overall: We recently ditched our decades-old database and adopted MemberNation. This has been one of the smartest moves we've made as an organization. For the first time ever we feel that we can leverage our data and control how we interact with our members. Implementation has been a breeze too. Pros: Easy way to find what you are looking for and I like that there is an advanced search feature. I also enjoy creating reports. Cons: Harder to do more difficult payment processes. We have different memberships that have different payments and sometimes those payments have to be split. It hasn't been the easiest to do all of those. Pros: Even the most technically challenged individual will understand how to use the software. The site is clean, straightforward and customizable for your respective organization. Cons: Only thing i do wish is the ability to change titles of items like "notes" on internal profiles based on organizational needs. Totally changed my time management. Pros: After struggling with different systems and ways of organizing, we tried this program. It was totally easy and freed up time for other pressing projects. Cons: It was a little difficult to import data but that was mostly due to trying so many different ways and programs prior to this. Comments: We decided to go with this company because of the scalability of the product, their customer support reviews, and their experience with Associations. We were tired of having to go through our old solutions customer support every time we needed something configured or a new report. Because MemberNation is built on one of the leading platforms in the world, it is so easy to customize our solution to meet our needs. But if we ever need help, they are always available. 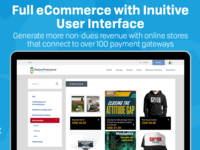 Would recommend this product to any association that is looking for scalability, ease of use, and a very good looking member portal. Why not use the product that is future proofed? Overall: Out of every major AMS vendor Fonteva was the only company that could not just meet our technical needs but vowed to work with us to build for our future. Pros: We moved to MemberNation early this year. I have found that my user experience has improved. It's easy to find users and update information or create new users. I look forward to continue learning how to use the system. Cons: Nothing so far. We have had a great experience. Overall: We have had a great experience during our implementation. All the staff that we have interacted with have been knowledgeable and quick to respond. The rate with which I can spin up forms made life MUCH easier. Pros: The out-of-the box functionality is very robust, and the customization options make most things possible. Cons: There are some limitations that are defined by business rules that are hard to get around, but not for lack of trying. Cons: I don't have any complaints so far! We are still at the beginning stages! Overall: It has been a positive one. The product is great and user friendly and the staff is awesome! Comments: It has been a great experience using this software to stay organized and easily look up contact information for our members at the click of a button. 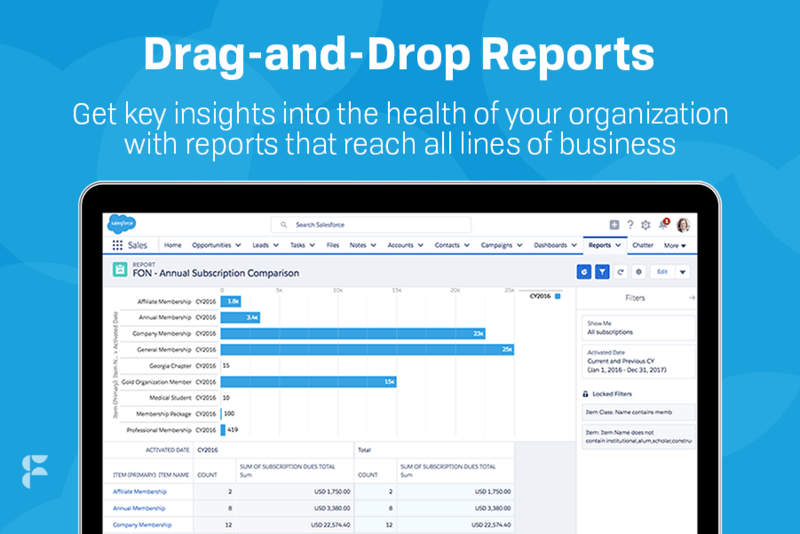 Overall: Fantastic product that captures some of the best features of salesforce all in one spot. Amazing customer service; fast friendly and knowledgeable staff. Event building and management is a breeze, a large conference can be built in a matter of hours. Fantastic store and member portal that provides a consistent and professional look and feels! Pros: Its really help customer support. It's easy to get into it. It has everything what we need to hold all customers and grow our organization or company. Overall: Managing events and registration process for contacts is a breeze, MemberNation has make hards things easy. Comments: We just started working with MemberNation and we love how flexible and easy it is. It allows us to do many things we were not able to do for so long. The best part is our end users can do so many things that they are now depending on us.